Helix Charter High School in La Mesa is a winner of Lady Gaga’s Born This Way Foundation and DonorsChoose.org’s Mental and Emotional Wellness Innovation Challenge. Mrs. Fleming and her students at Helix Charter were one of five winning classrooms. Their project, “Improving Emotional Wellness Through Mindfulness,” was selected for its creativity, potential to decrease the stigma surrounding mental health and ability to teach students skills to maintain their emotional wellbeing. Their project was selected from a pool of more than 600 projects that received funding through a partnership between the Foundation and DonorsChoose.org. Each winning teacher will receive a $5,000 DonorsChoose.org gift card to fund a future project. Born This Way Foundation was founded in 2012 by Lady Gaga and her mom, Cynthia Germanotta, to support the wellness of young people. DonorsChoose.org is the leading platform for giving to public schools. Sharp Grossmont Hospital has officially opened its new Care Clinic, giving East County residents greater choices when looking to receive care for everyday illnesses and minor injuries. 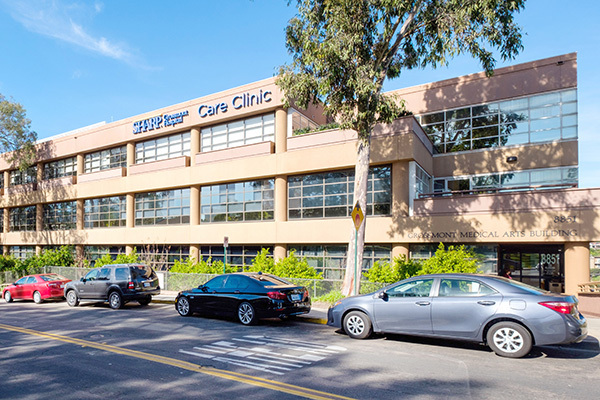 The Care Clinic, located next to the Sharp Grossmont Hospital campus, is intended for people who require more urgent medical attention than is available at their doctor’s office but don’t need to be seen in the emergency room. Visit bit.ly/2Huoz68 for more information. The new facility has 14 new exam rooms, a guest lounge and an outdoor terrace. “The Care Clinic will provide our patients with greater choices for their health care, and a quicker and more convenient path to healing,” says Sharp Grossmont CEO Scott Evans in a press release. The Care Clinic is open Monday through Friday from 8 a.m. to 11 p.m. and on weekends from 8 a.m. to 8 p.m. Walk-ins are welcome, and patients may also request an appointment online. Every May, the Administration on Aging, part of the Administration for Community Living, leads the nation’s observance of Older American’s Month. The 2018 national theme, “Engage at Every Age,” emphasizes that people are never too old to take part in activities that can enrich physical, mental, and emotional well-being, and recognizes the many ways in which older adults make a difference in our communities. For 55 years, Older Americans Month has been observed to honor older Americans who are taking part in activities that promote social connection to improve their quality of life and share their wisdom and experiences with future generations by working, volunteering, mentoring, learning, leading and engaging. San Diego Oasis will recognize Older Americans Month of May with a kickoff of summer semester events, including distribution of a new, 144-page catalog of classes and activities, and a day of celebration at Grossmont Center Mall in La Mesa. On May 9 in Escondido and May 10 in La Mesa, interested seniors can register for classes on site. At the La Mesa location on May 10, Oasis will host free demonstrations and mini lectures to introduce its summer class line up. The event runs 10 a.m.–2 p.m. and will feature exercise and dance demos, health and wellness lectures, giveways, community experts and an appearance from Dr. Ken Druck, nationally recognized speaker, coach and author of “Courageous Aging.” Anyone over the age of 50 is welcome. On May 24 at 2:30 p.m. at our Grossmont Center location, Oasis will host a session called “Right-Sizing Your Life in Retirement,” featuring speakers in finance, relocation/downsizing, and the emotional challenges that come with so much change. La Mesa residents Timothy C. Earl (Insurance) and Joseph L. Marshall (Business Transactions) have been listed in San Diego Magazine as 2018 Top Lawyers in San Diego. Earl and Marshall are two of 10 Sullivan Hill attorneys to be named 2018 Top Lawyers. La Mesa resident Ashley Kerins has been selected to 2018 Rising Stars in California for the second time in the areas of Tax, Real Estate and Business/Corporate. Earl is chair of the firm’s Construction and Insurance practice group. His insurance coverage practice involves representation of policyholders and insurance companies in a variety of insurance coverage disputes. Marshall, a member of the firm’s executive committee, has experience in real estate, corporate partnership and business transactions. He represents clients in matters such as commercial real estate ownership, mergers and acquisitions, business formations and federal and state tax disputes. San Diego Magazine’s 2018 Top Lawyers in San Diego list reflects those local attorneys who have been recognized by Martindale-Hubbell as 2018 AV Preeminent Peer Review Rated attorneys. Kerins is a member of the firm’s Business and Corporate Transactions and Tax practice groups. Her practice extends to real estate transactions, financings and business organizations. Super Lawyers, a Thompson Reuters business, is a rating service of outstanding lawyers from more than 70 practice areas who have attained a high degree of peer recognition and professional achievement, of which Kerins was selected. Sullivan Hill provides full service representation to clients in a variety of industries with an emphasis in insolvency, construction disputes, insurance coverage, real estate, employment, business disputes, civil litigation and transactional work. The firm has offices in San Diego and Las Vegas. 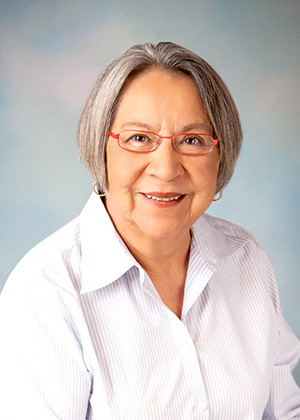 El Cajon resident Shirley Apple Murphy, a cultural psychologist, life coach and advocate for Native American issues, has been appointed to serve on the Grossmont Hospital Corporation (GHC) board of directors as a representative of the Grossmont Healthcare District (GHD). Murphy will serve on the GHC as a designee of GHD board member Gloria Chadwick. Murphy is returning to the GHC board after previously serving from 2011 to 2016. Murphy was succeeded by Allan Goetz, a retired aerospace engineer, who served in 2016 and 2017. The 15-member GHC board consists of Sharp Grossmont Hospital leaders, physicians, community leaders and GHD board members or their designees. Among its many responsibilities, the GHC board oversees, evaluates and recommends proactive quality measures and performance initiatives for all quality improvement activities throughout the hospital. Murphy is president of Taspan Consulting Co., which she founded to conduct research and development of indigenous knowledge and its application to educational curriculum, career counseling, community development and life coaching. Her career has focused on health care, education and language retention. Former La Mesa City Treasurer Jim Stieringer announced that he has joined the field for election to the 4th District State Board of Equalization. Incumbent Dianne Harkey has announced that she will seek election to the 49th Congressional District seat currently held by Rep. Darrel Issa. The 4th District includes San Diego, Orange, Riverside, Imperial and San Bernardino counties. Stieringer joins a list of seven candidates including Joel Anderson, Mike Schaeffer and Orange County residents Ken Lopez-Maddox, David Dodson and John F. Kelly, along with San Bernardino County resident Nader F. Shahatit. 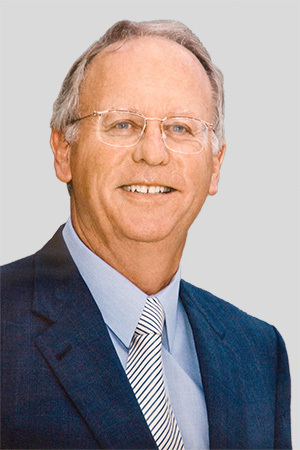 In addition to his 2002 election as La Mesa’s City Treasurer, Stieringer served five terms as a member of the Grossmont Healthcare District board of directors and a single term as a member of the Grossmont Union High School District governing board. He is an Air Force veteran, having served as a contracting officer for the Air Force Systems Command at Cape Canaveral. He holds a business degree from California Western University and a masters degree in management from Florida State University. The Board of Equalization retains authority to collect and handle appeals for state assessed property taxes, alcohol taxes and insurance taxes. Stieringer said he believes that his candidacy represents an opportunity to introduce financial professionalism to a board that currently includes former legislators and those seeking to improve their resumes for higher office. His immediate goal is to finish among the “top two” candidates who, under Proposition 14 approved by the voters in June 2010, will proceed to the November general election runoff. Also, Genevieve Suzuki (La Mesa resident and La Mesa Courier columnista) was selected as a Super Lawyers Rising Star for 2018!